To go with the 'Space Jam' Jordan 11. You can bet that Jordan Brand is planning to release all sorts of apparel go with December's "Space Jam" Air Jordan 11 retro. It's getting started a little early, dropping a shirt referencing camp outs for the shoes earlier this week and now coming with this piece that has a more direct tie to the film. The jersey is the same one Michael Jordan wore in Space Jam, complete with his name and #23 on back. 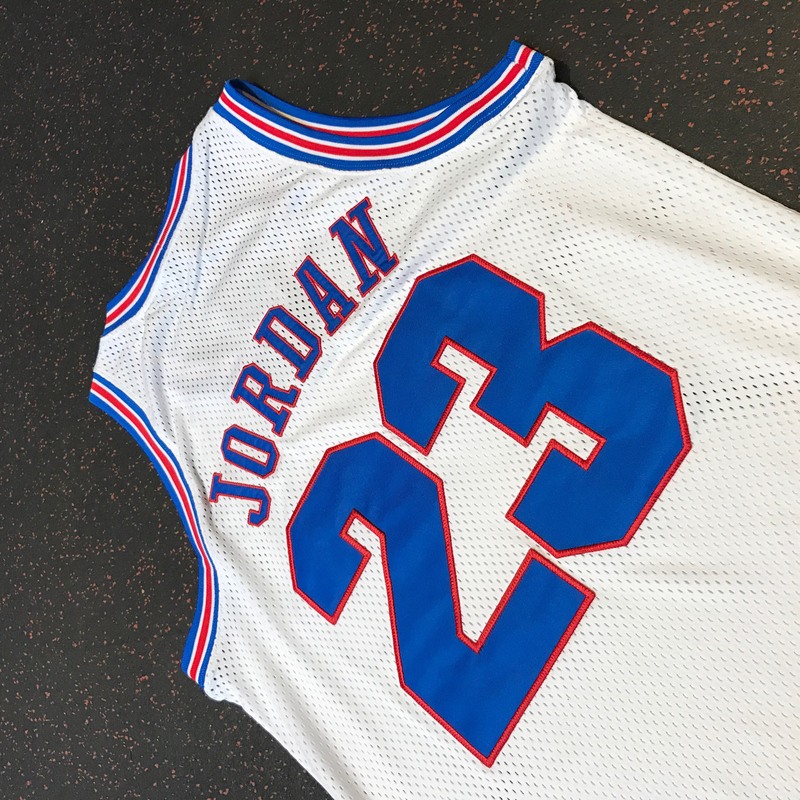 While this jersey from Jordan's Tune Squad days doesn't appear to be widely available just yet, Ohio sneaker store Corporate has it in stock now.